Creative Chronicles brings together key insights, information and statistics from the experts at Creative Assembly. We hope this will inspire students and those considering a career in game development. This edition of Creative Chronicles focuses on Production or Development Management. Producers are regularly known as Development Managers in the games industry. They are the ones who keep projects progressing towards delivery, while working with all the development disciplines to preserve the creative pillars of the game and achieve the best possible player experience. As a development manager, you are surrounded by people who can find creative solutions to complex problems and it’s your responsibility to help them foresee these problems and apply solutions. 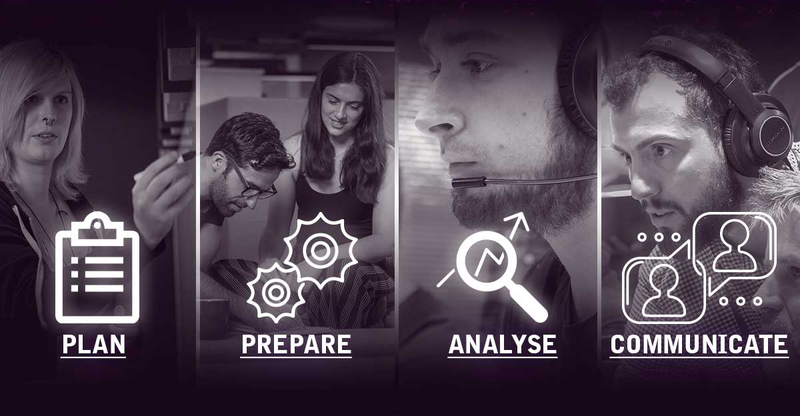 You are the communication centre for the project, ensuring each member of the team understands where they are and where they need to be, and crucially, helping them to work with a complete understanding of how their features will fit within the finished game. The development manager is often the realist in game development. A development manager has a wider holistic understanding of the project processes and pipelines. Their expertise is in ensuring delivery of a specific feature, asset or the entire game, as opposed to creating these elements. Some start their industry career in QA as this provides a good foundation in the workings of development across a whole project. The role of the development manager is one that has changed considerably over the past few decades, adapting to the industry and the competitive market. With marketing activities such as live streaming and early access driving the need for quality stable demos, the development manager now has to deal with multiple milestones, and the team are working on a playable game earlier in the project schedule. Leading the production, the development manager has overall responsibility for delivering the entire project on time and to budget. A development manager’s personal pillars are: plan, prepare, analyse and communicate. You are continually estimating and goal setting from a macro level all the way down to the micro detail. Supporting the production, you have a variety of tools, graphs and indicators to estimate and evaluate delivery expectations, this might be done by taking past averages to produce a project timeline. 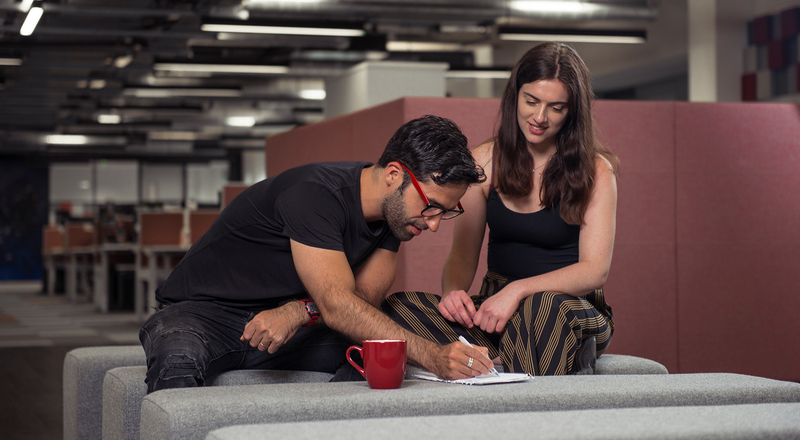 It’s the development manager’s responsibility to plan out the project milestones and deadlines, keeping the entire team on track and making constant adjustments for all the changes that invariably happen throughout development. Accurate finish predictions can be ascertained by measuring individual progress based on previous averages and setting the scope at the start. In an AAA environment, you may be working with teams of hundreds of creatives and these predictions must be carefully analysed. The development manager is a goal-setter, but also a problem-solver. While the data helps build a picture of the product pipeline, it's only part of the picture. The rest comes from discussion with the team as there will always be external factors that will impact the schedule, and the producer will need to adapt to take these into account. Through this wider analysis, the development manager can foresee potential problems. With a broad knowledge of the production process as a whole they will be able to help identify what might go wrong, what has gone wrong, and work with the expert e.g. the programmer, who will be able to find the solution. While planning and analysing data will help you spot issues, it’s through this communication with the team that you can understand the full picture and drive everyone towards solutions. 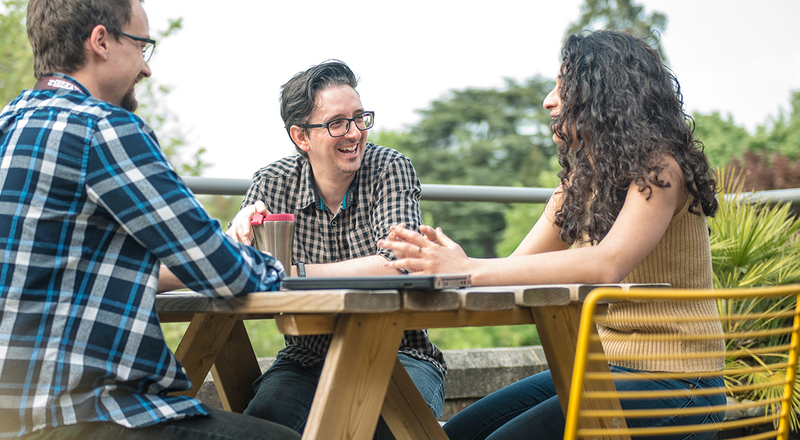 Within a creative team there will be such a broad range of personalities and the development manager will need to bring everyone together, leading them towards solutions and being able to get the best out of the team. This is one of the reasons why game production is such an interesting area, you have a holistic view of all the disciplines and work in an extremely multidisciplinary field. You are analytical, constantly interpreting, evaluating, adjusting and communicating data to the wider team. This skill is far more important than proficiency in software and yet is often overlooked by those looking to get into games production. However, Excel is the development manager's best friend and software for understanding time estimates, capacity and managing tasks, such as JIRA and Hansoft, will come in handy and are often utilised on large AAA projects. You drive everyone to achieve their best, helping the team's vision and ideas become a reality within the realistic constraints of game development. Sometimes you need to make judgement calls for the greater good of the game, acknowledging when things won't work while keeping the creative people around you motivated. You have a broad understanding of how the disciplines work, based on your past experiences, this gives you the insight to understand what will work and what won't. You will analyse and communicate trends using a variety of tools, keeping the project on track by setting goals for the whole team and identifying issues before they occur. Despite being one of the largest studios in the UK, at Creative Assembly we cherish a personal and team-based approach. It’s through one-to-one conversation and understanding that our development managers get the best out of people. Soft skills are far more important than proficiency in a specific software package. Proactively being involved in daily stand-ups across the team. While data is an indicator, you should be spotting individual issues before they appear and working with the person to get them on track. Why is it taking them four weeks to model a gun, what’s the reason for it and can we do something to help that artist? In stand-ups you are free to talk to individuals about what they are doing, and this in turn will give you the confidence that your delivery is on track. We utilise production methodologies that work for us. Like many development studios, we base our working techniques around our own interpretation of Agile and Scrum when planning with the teams for sprints and milestones. But essentially, these are all just buzzwords, a solid foundation in production methodologies is useful as it means you can draw on the elements that work for you and your team. It’s about application for the best results, reaching your goals and for your games. 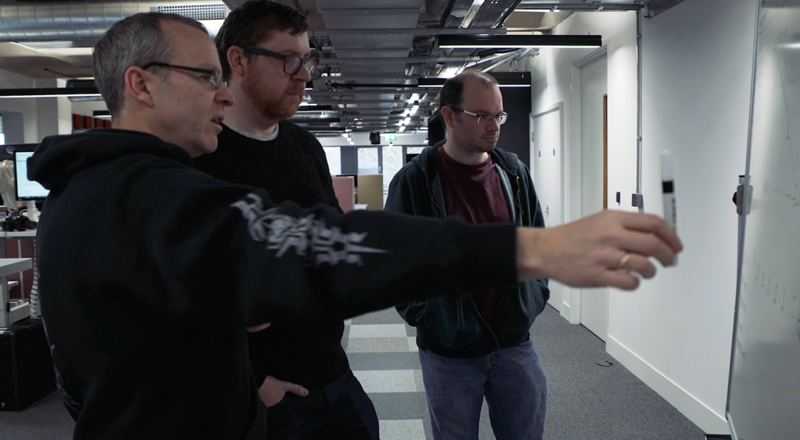 Mark Sutherns, Development Manager on Total War sat down with Develop and industry colleagues to discuss the role of the producer. 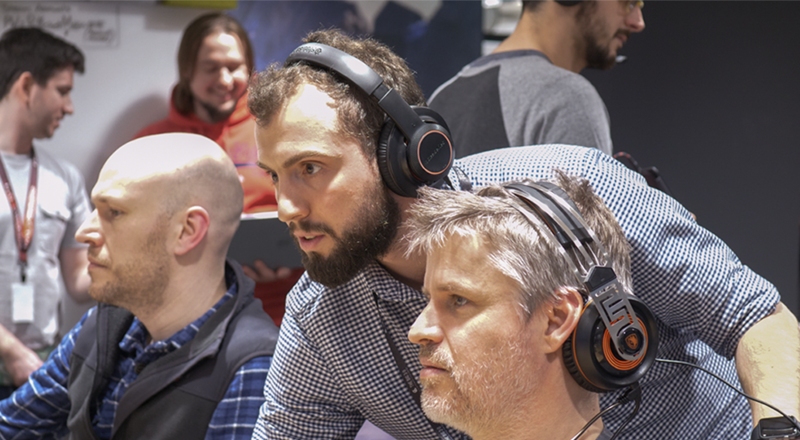 Marcus Sheldon, Senior Producer on the console team, shared his insights about getting into the industry with Play UK. Iain Angus, Development Manager on the console team shares his 'Producer's Guide to Decision Making' on Gamasutra.